The Roskilde Festival Group and Meyer Sound announced a partnership that will leverage the strengths of northern Europe's largest continuing music festival and a supplier of professional audio systems. Beginning with the 2018 event, all stages at the Roskilde Festival will deploy reinforcement systems from Meyer Sound exclusively. In addition, Meyer Sound will assist in training the festival's own technical staff in audio system design, configuration and optimization. The partners also outlined ambitious proposals for audience education and interactive participation, as well as the formation of a new Roskilde Festival Academy for high-level training throughout the year. In announcing the agreement, top-level management at both the festival and the company stressed the importance of their common roots and their shared commitment to musical excellence and the continued focus on developing the audience experience. "The Roskilde Festival emerged from the counterculture of the late sixties and early seventies, a time of astonishing creativity and innovation," said Signe Lopdrup, CEO of the Roskilde Festival Group. "As a non-profit foundation, we have maintained that same spirit, as we are driven by a passion for music and not the bottom line. In Meyer Sound, we found a partner with the same cultural heritage and with strong leadership willing to work with us to push festival sound to higher levels of quality and innovation." "We feel honored that the Roskilde Festival reached out to us for a collaboration that is absolutely unique in our industry," said Helen Meyer, Meyer Sound Executive Vice President. "Certainly we will offer our extensive technical resources to ensure optimum sound quality at every stage, and at the same time the festival will give us a full-scale field laboratory for new product development and evaluation of audience response." 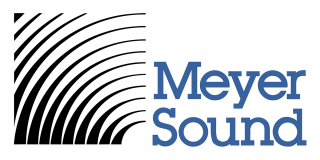 The comprehensive partnership agreement was shaped during meetings at Meyer Sound's Berkeley headquarters over the past six months. In addition to Lopdrup, key Roskilde participants included Head of Production Bertel Baagøe, Production Manager Lars Liliengren, Commercial Partner Manager Lars Orlamundt, and Roskilde Festival Academy Project Manager Morten Büchert. For Meyer Sound, Helen Meyer was joined by the sales manager for Scandinavia, Klaus Hansen, as well as members of the company's education and R&D departments. In addition to the exclusive deployment of Meyer Sound systems, the agreement proposes a three-level program of training and education that involves both festival staff and future audiences. First, the festival will hire and train its own technical staff for designing, deploying, and optimizing all festival audio systems. Second, the festival and the company will work together on ways to educate audiences in sound technology, and to involve audiences in participatory sonic experiences using proprietary Meyer Sound technologies such as Constellation active acoustics and Space Map three-dimensional panning. The third level will focus on developing the competencies of up-and-coming engineers through a close mentoring and education program. "We realize that hiring and training our own technical staff for sound and lighting is an ambitious step forward, one essentially unheard of in the festival world," said Bertel Baagøe. "But we feel this is essential to make sure we can consistently provide the very best results. We want their Roskilde performance to be the highlight for every artist for their entire summer tour." The education components of the partnership will be under the direction of Roskilde Festival Academy Project Manager Morten Büchert, who also serves as a faculty member at Denmark's Rhythmic Conservatory in Copenhagen. "Greater understanding of sound leads to even greater musical enjoyment, and we are looking at ways to educate festivalgoers in the basics of audio science," said Baagøe. "With the launch of Roskilde Festival Academy, we will bring in Meyer Sound's leading specialists, and together we will to offer advanced training to audio professionals throughout the year." For this year's festival, Meyer Sound systems were deployed at five out of nine stages. From 2018, Roskilde Festival's exclusive Meyer Sound systems will be solely supplied by Bright Group, a leading Nordic provider of audio, video, lighting and staging services.